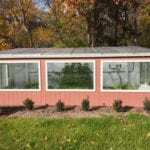 Can you tailor a black-out system to my greenhouse? 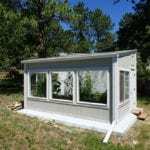 Yes, we provide customized solutions for light-deprivation systems. We work extensively with the most experienced manufacturer in the industry, Wadsworth Controls, to provide a solution tailored for our commercial greenhouses and HighYield Greenhouse kits. The system fits tightly to the greenhouse frame so we can create complete black-out conditions. How much does a black-out system cost? 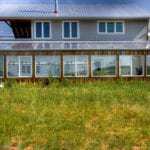 This varies greatly by greenhouse and you desire for automation and control. 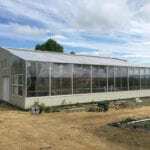 Please contact us for a quote regarding your greenhouse. Yes, we also provide controls to automate the light deprivation system, and integrate is with climate control systems. Ceres automated light deprivation systems allow for total control of light levels for flowering crops, including commercial flowers and commercial or medical cannabis. Systems are custom designed for all Ceres greenhouses for complete darkness. 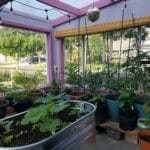 Why Choose a Light Deprivation Greenhouse? Cannabis and many flowering crops are highly responsive to the length of light (the photoperiod). In simple terms, the plants have evolved to begin flowering at a specific day length. Greenhouse light deprivation systems allow the grower to control light levels to achieve the desired plant response. This allows for multiple harvests in a year, and can add millions of dollars in revenue to a cannabis operation. Given those facts, light deprivation systems are the norm in cannabis greenhouses. They create the best of both worlds: using free natural light, and creating a highly controlled environment for year-round harvests. Ceres cannabis greenhouses accommodate this with automated light deprivation systems, which use 12 hours of natural light, followed by 12 hours of darkness.